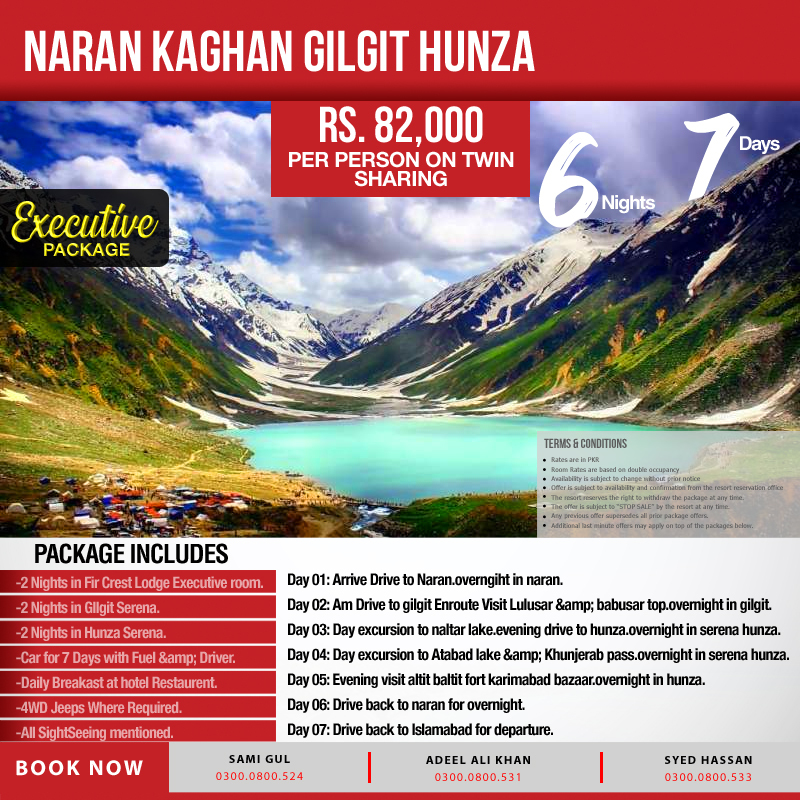 NARAN - KAGHAN - GILGIT - HUNZA tour with 7 days fuel & driver, daily breakfast and sightseeing tours. 2 Nights in Fir Crest Lodge Executive room. 2 Nights in GIlgit Serena. 2 Nights in Hunza Serena. Car for 7 Days with Fuel & Driver. Daily Breakast at hotel Restaurent.